Classy, nice everything, good breakfast, pillow menu! 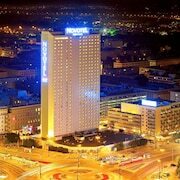 Where to find Mory hotels near an airport? Where can I find hotels in Mory that are near tourist attractions? 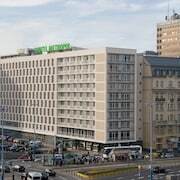 If you are planning a trip to Warsaw and want to book a comfortable room in Mory, there are a few places to choose from. 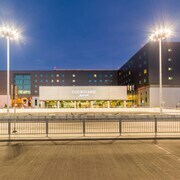 About 9 Expedia-listed hotel and apartments can be found within a 0.1-kilometre (0.06-mile) distance of the center of Mory. If you'd like a room within a half mile of downtown Mory, check out the latest deals at the ever-popular Rest Hotel. You could check out the P&O Apartments Arkadia and also the H15 Boutique. The P&O Apartments Arkadia can be found 10 kilometres (6 miles) away from downtown Mory. 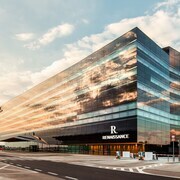 The H15 Boutique, is positioned 11 kilometres (7 miles) away. The Castle Square Apartment and also the Platinum Towers Country 2 Country are two other recommended places to book accommodation in Mory. Once you have seen the sights in Mory, try and leave enough time to enjoy Warsaw - Eastern Poland's other cultural and scenic delights. Check out Warsaw - Eastern Poland's castles. Lovers of the great outdoors could also take the time to enjoy its forests, rivers and streams. Adventurous travelers can also try their hand at ice skating, mountain biking and mountain climbing here. 10 kilometres (6 miles) from Mory is Zoliborz, where visitors can enjoy Katyn Museum and Olympic Golf Club. 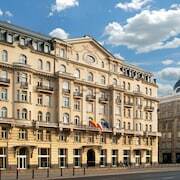 Expedia-listed Zoliborz hotels are the Mamaison Hotel Le Regina Warsaw and InterContinental Warsaw. 25 kilometres (16 miles) to the north of Mory, is Nowy Dwor Mazowiecki, home to the Best Western Airport Modlin and Versal apartHotel Airport Modlin. The Modlin Fortress and Michalowska Tower are just some of the more popular sites to experience while in Nowy Dwor Mazowiecki. If you are really into sports and love watching local games you might decide to visit National Stadium, which is 13 kilometres (8 miles) to the east of Mory. Those wishing to stay close by can select from the Hotel Bristol, A Luxury Collection Hotel, Warsaw or the Warsaw Marriott Hotel. 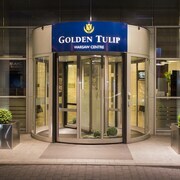 If you are traveling into or out of Frederic Chopin Airport and choose to stay nearby try Courtyard by Marriott Warsaw Airport or Sound Garden Hotel Airport. 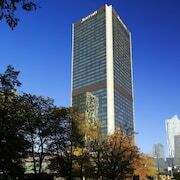 What are the most popular Mory hotels? 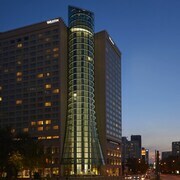 Are there hotels in other cities near Mory? What other types of accommodations are available in Mory? Explore Mory with Expedia.ca’s Travel Guides to find the best flights, cars, holiday packages and more!